The inaugural meeting of Cycle Seahaven was held on 13th January 2009 at The Wellington, Seaford, attended by around 35 enthusiastic people who formed a committee and off we went! The club has gone from strength to strength ever since. Our aim then, as now, was simply to get people onto their bikes. We are an inclusive club, seeking to encourage people of all ages, abilities and cycling interests to do more cycling and share the enjoyment of cycling with other people living in the Seaford, Newhaven, Peacehaven and surrounding areas. Cycle Seahaven’s committee is made up of (up to) 12 local cycling enthusiasts who are voted in by the members at our AGM, usually held in February. A purely voluntary role, they all work hard to cater for members’ interests. The Committee welcomes any feedback, ideas and suggestions about any aspects of the Club. Cycle Seahaven organises rides for MTB riders and road riders of many levels of fitness and experience. We have devised a grading system to enable members to determine if a particular ride is for them. We currently have many ride leaders who publicise our rides on an online rides calendar. This is regularly updated, sometimes with last minute additions, and is essential for checking for cancellations due to severe weather. We include details such as the ride leader’s name, grade of ride, the meeting time/place, and a brief description of the route. The rides are listed as a summary, but you can click on each one to see more detail. If you fancy doing a particular ride then contact us with your ideas – we’re keen to expand our knowledge of local routes for all abilities. 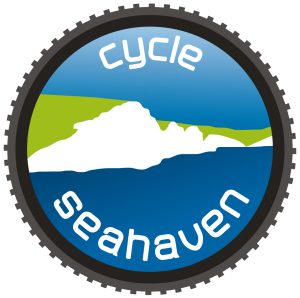 Cycle Seahaven actively campaigns to bring about improvements to access and facilities for cyclists in the Seahaven area. We have established excellent links to many organisations including: Forestry Commission; South Downs National Park Authority; Sustrans; National Trust; Cycle Touring Club; East Sussex County Council; Lewes District Council; Seaford Town Council; local Police; parish councils and other cycling groups in East Sussex. Key campaigns for the Club at the present time are listed on the Campaigns page.